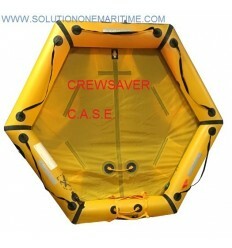 Aviation Life Rafts There are 15 products. Revere Life Rafts 45-AC4VP FREE SHIPPING TO LOWER 48 STATES ON THIS ITEM Ideal for general aircfaft, the Revere AERO Compact Liferaft offers an enhanced level of safety for over water flight. It's light weight allows for easy deployment and its compact size allows for easy storage. 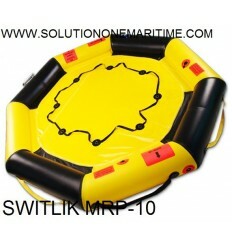 Switlik Marine Rescue Platform 10 Person MRP-10S Valise Free Shipping The SWITLIK MRP-10 Inflatable marine Rescue Platform is an ideal device for getting multiple people to safety in a marine emergency. Easily and quickly deployed, easy to board, it aids in the rapid rescue of distressed victims in a life saving emergency. Revere Life Rafts 45-AC4V-K FREE SHIPPING TO LOWER 48 STATES ON THIS ITEM Ideal for general aircfaft, the Revere AERO Compact Liferaft offers an enhanced level of safety for over water flight. It's light weight allows for easy deployment and its compact size allows for easy storage. 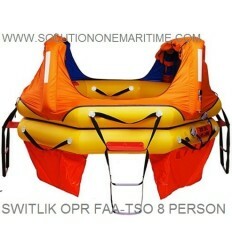 Switlik TSO Approved CPR Life Raft 6 Person w Part 91 Kit Valise Free Shipping Commercial version of the life raft designed for and adopted by the USCG for helicopter operations. 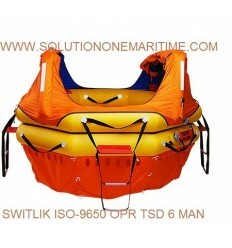 This professional grade life raft is now available to the flying public. Revere Life Rafts REVERE AERO Compact Life Raft 2 Person Valise [45-AC2V] FREE SHIPPING TO LOWER 48 STATES ON THIS ITEM Ideal for general aircfaft, the Revere AERO Compact Liferaft offers an enhanced level of safety for over water flight. It's light weight allows for easy deployment and its compact size allows for easy storage. 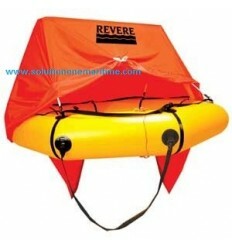 Revere Life Rafts 45-AC4V FREE SHIPPING TO LOWER 48 STATES ON THIS ITEM Ideal for general aircfaft, the Revere AERO Compact Liferaft offers an enhanced level of safety for over water flight. It's light weight allows for easy deployment and its compact size allows for easy storage. 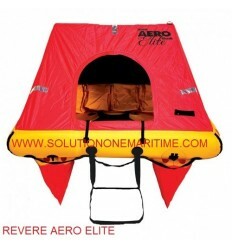 Revere Life Rafts REVERE AERO Compact Life Raft 2 Person Valise with Canopy[45-AC2VP] FREE SHIPPING TO LOWER 48 STATES ON THIS ITEM Ideal for general aircfaft, the Revere AERO Compact Liferaft offers an enhanced level of safety for over water flight. It's light weight allows for easy deployment and its compact size allows for easy storage. Revere Life Rafts REVERE AERO Elite Life Raft 4 Person Valise with Canopy[45-AE4V] FREE SHIPPING TO LOWER 48 STATES ON THIS ITEM If your flight plan includes time over water, Revere’s Aero Elite liferaft should be on your pre-flight checklist. 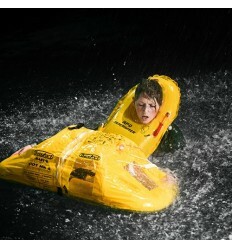 The ultimate lightweight liferaft for general aviation, the Aero Elite 4 weighs only 45lbs! Revere Life Rafts REVERE AERO Elite Life Raft 6 Person Valise with Canopy[45-AE6V] FREE SHIPPING TO LOWER 48 STATES ON THIS ITEM If your flight plan includes time over water, Revere’s Aero Elite liferaft should be on your pre-flight checklist. The ultimate lightweight liferaft for general aviation, the Aero Elite 6 weighs only 50lbs! Revere Life Rafts REVERE AERO Elite Life Raft 8 Person Valise with Canopy[45-AE8V] FREE SHIPPING TO LOWER 48 STATES ON THIS ITEM If your flight plan includes time over water, Revere’s Aero Elite liferaft should be on your pre-flight checklist. The ultimate lightweight liferaft for general aviation, the Aero Elite 8 weighs only 56lbs!